The Exigo Adjustable Cable Crossover is a multi-function strength training machine part of our selectorized torso / multi use range, ideal for a safe and efficient full body workout. This impressive space saving machine is a must for any serious commercial or home gym, offering users infinite exercises and training programs, the Exigo Cable Crossover will certainly help strengthen and tone muscles in the user’s upper and lower torso. This adjustable all-in-one piece of equipment will not only build strength and power but also improve stability, balance and flexibility. Crossover machines enable targeting of muscles from different angles and directions whilst also giving the body a more even and effective workout. 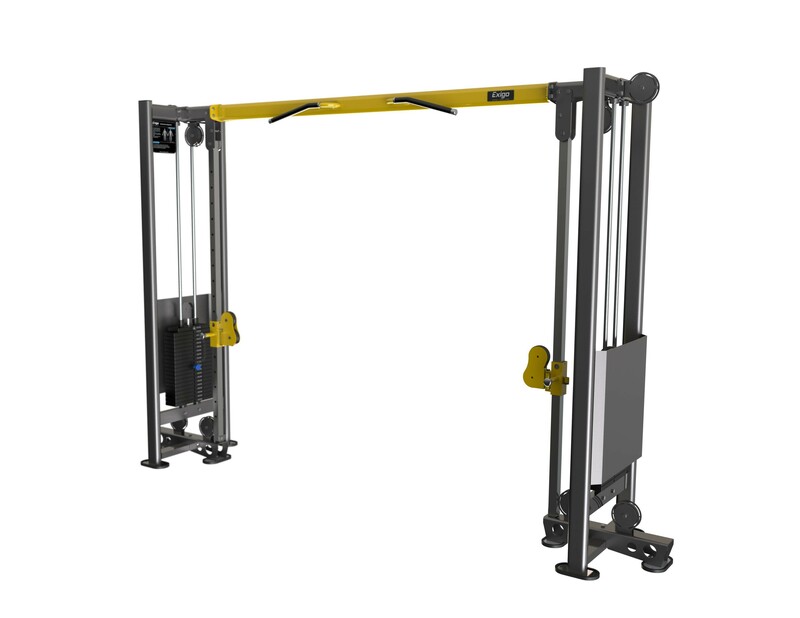 Designed and manufactured in our UK factory this impressive piece of gym equipment is constructed to battle the conditions of a busy commercial gym environment. Engineered using optimal components the Exigo Cable Crossover is a privilege to use due to its smooth, seamless movements that make working out a better experience. Whether you’re a seasoned athlete or a gym novice this machine will assist you in achieving superior results.